Editors note: Since posting, all places for the Brave Bears program have been taken and we now have a waiting list; please submit this form to join it. Registration remains open for the Wild Walkers program, for which we still have a few spots remaining. "I don't know how you survive being stuck inside all winter with the kids living up there." If you're raising kids in Vermont, but have relatives living in a warmer climate, you might have heard some variation of this question at some point, likely from more than one person. To Vermonters, statements of wonder and disbelief like these have it all wrong from the get-go; that does sound awful being cooped up the entire winter with bored kids! Luckily, if outfitted with the right winter gear, kids are happy to go outside and play. With this truth in mind, our upcoming February vacation camps are exciting opportunities for kids ages 6-14 eager for new adventures within the winter landscape. We are offering two one-day camps this year and both camps revolve around the theme, "All Who Wander Are Not Lost". Campers will practice self-sufficiency as they learn wayfinding skills. Our Wild Walkers program for ages 10-14 is Tuesday, February 16th; Brave Bears, for kids ages 6-9, will take place the following day, Wednesday, February 17th. 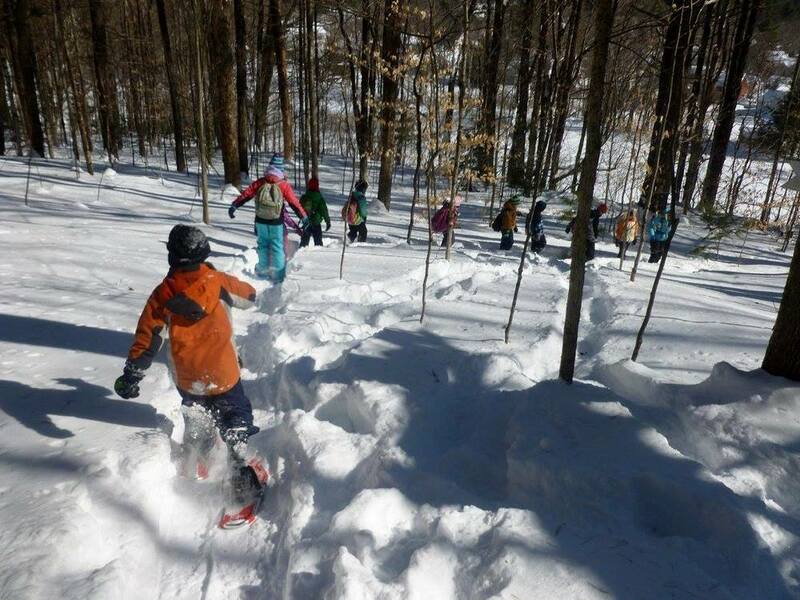 This camp is a great chance for kids to break out their snowshoes with kids their own age! For the younger set, we have a limited number of snowshoes that we can lend out; just inquire by emailing Kimberly at kimberly@nature-museum.org. We hope your little (or big) one will join us; it is bound to be a rollicking good time in the snow! Save $5 when you sign up before February 9th!